A beautiful capture of freedom! How do you even DO that?!? By the time I get my phone out, turned on, and maneuver to the right app, the birds long gone. I love looking out over water. There's something very soothing about water. Gosh wouldn't it be nice to be able to soar over the sea with the sun on our wings? I wish people had wings. Beautiful. I love the dreamy feel of the photo. This photo is so relaxing and dreamy -- what a wonderful capture. Wonderful photo! 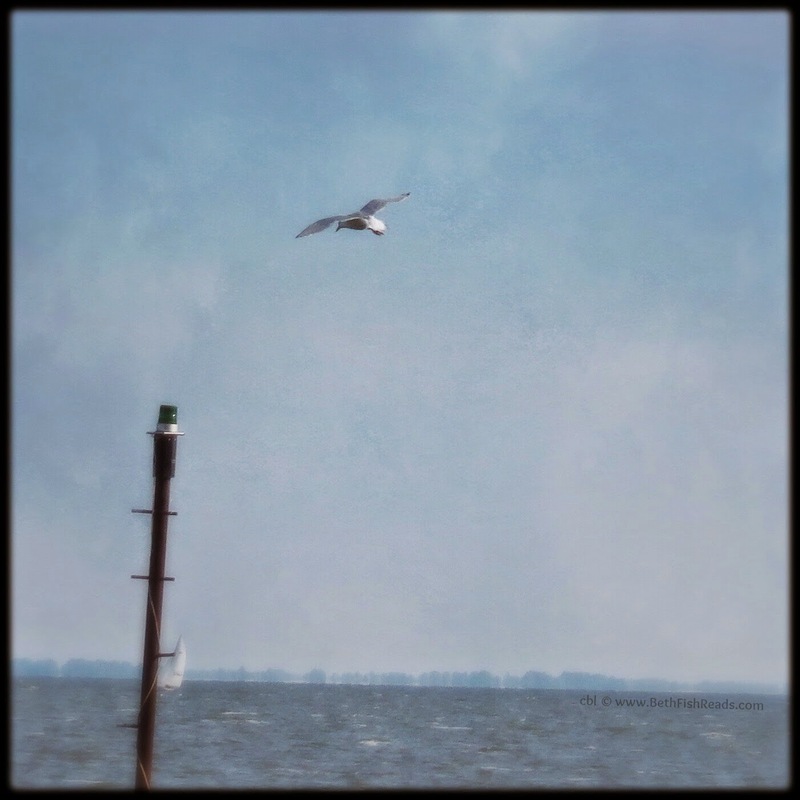 Makes me think of Richard Bach's "Jonathan Livingston Seagull." Nice photo, I love the tranquillity. This is a peaceful shot!